One of our big research interests at the George Pantziarka TP53 Trust is on active measures to reduce the risk of cancer in people with LFS. To date I have published two papers setting out the biological rationale suggesting that cancer incidence may be linked to additional factors caused by TP53 mutations over and above a lack of direct tumour suppressor activity. Ultimately what we would like to do is support clinical trials in which active measures – for example a combination of metformin and low dose aspirin – can be compared to current practice to see if it leads to lowered cancer incidence. But we’re some way off that – for the moment we are looking at the possibility of doing something in a mouse model of LFS. But for now, the question that crops up from people with LFS is: can I do something now to lower my risk? In the absence of the evidence from a clinical trial, any answer has to be speculative. But if we keep that in mind there are certain things that would seem to be worth doing even with our current level of ignorance. First up has to be stress reduction. This is a no-brainer as everybody benefits from reducing stress, but in the case of people at higher risk of cancer the benefits are multiplied. Firstly the additional risks involved in having LFS and the constant stream of scares and scans, means that the levels of stress involved are probably higher. This constant low-level (and sometimes not so low-level) stress is associated with depression of the immune system, increased fatigue and can often lead to depression. The good news is that there is evidence that things like cognitive-behavioural stress management (CBSM) and mindfulness meditation can make real differences to stress. The evidence is strong that these interventions lead not just to better reported quality of life and lower levels of anxiety, they also lead to the lowering of stress hormones like cortisol and increased immune function. Secondly, th ere is emerging evidence that our gut bacteria are important to systemic immunity. This is a fairly astounding finding when you think about it. There is even evidence, which I blogged about here, which shows that in mice with a genetic predisposition to cancer changes in gut bacteria were associated with lowered cancer incidence. So, while we aren’t mice, there is every reason to believe that the same could apply to people. 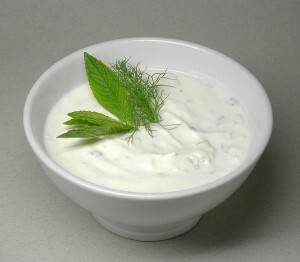 Keeping yourself supplied with healthy probiotics from yoghurt and pro-biotic tablets therefore seems like a good idea. Finally, it’s important to maintain a healthy weight and to do some exercise. This applies even to people who are going through cancer treatment at the moment. Exercise can actually reduce fatigue, improve immune status and reduce stress. It might be hard to motivate yourself to do this – but it doesn’t have to be running a marathon! There are arguments around the pros and cons of low dose daily aspirin – but the fact is that the risks are low compared to the risk of cancer. But, unlike the meditation, probiotics and exercise, there are some risks with aspirin. However, it’s certainly worth starting the discussion with your doctors. Increasingly we are seeing other cancer predisposition syndromes exploring the use of drugs as part of a cancer prevention program – this is, ultimately, where we want LFS to be too. I think you should write a new article which looks at the evidence for aspirin because I think you underplay its potential benefits here.